We'd love to send you a FREE full-line Del City Catalog! Just complete the form below and we'll mail a catalog right to your door. 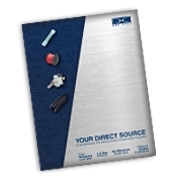 If you'd like to see our printed catalog without waiting for the letter carrier, click here to visit the interactive catalog. Enjoy!